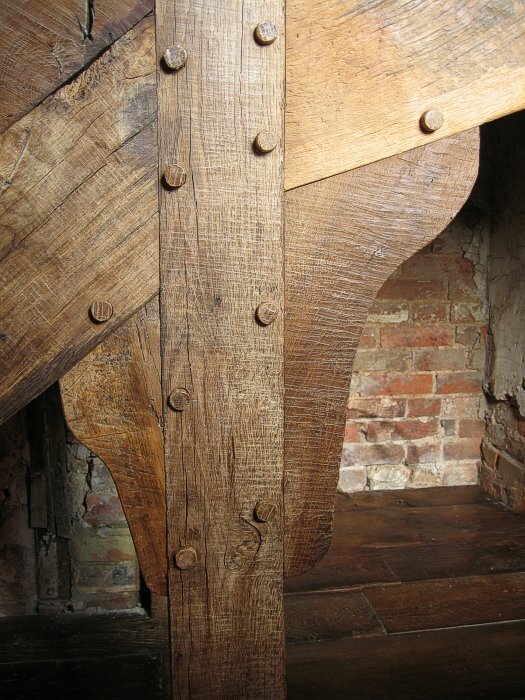 Central newel post, tread carriers and shaped braces. All morticed and tenoned, drawer bored and pegged. Note the beautifully rich and naturally varied, colours of the old oak.